It’s no secret that trying to place a square peg in a round hole doesn’t get you very far. But there is a secret many prospective buyers of Scottsdale luxury real estate don’t know that creates the best fit when it comes to locating the right Scottsdale luxury home at the best possible price. The Arizona exclusive buyer’s agent is the best kept secret in real estate. By the sheer nature of their expertise, they go the extra mile to identify all Scottsdale luxury homes in the marketplace and pinpoint the best options for each buyer. This type of agent has access to a large inventory including MLS listed and more. This commitment to a comprehensive search for all available properties can be especially important when looking for Scottsdale luxury real estate such as vacation homes, estate homes, and other luxury properties. Scottsdale buyers agents will ensure that homebuyers have access to all of the data on listed homes including the address and complete property data. 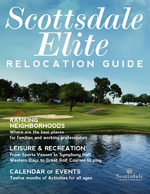 Exclusivity is the clear differentiator that leverages the greatest advantage for the Scottsdale luxury home buyer. The Scottsdale buyer's agent who is exclusive in representing the buyer can offer the assurance of full protection of the rights and interests of the buyer. Because of their high level of training, they provide expert representation exclusively to buyers to protect their interests with the utmost good faith, loyalty and fidelity. Scottsdale luxury real estate buyers have all the representation they need to find the ideal luxury home, negotiate the best home price, obtain the highest level of service, and protect their legal rights that ensures a positive and memorable home buying experience. What’s more, the right agent also specializes in gated luxury home real estate in Arizona and is the preferred out of state gated community specialist. The many caveats in the home buying process require the expertise of an Arizona exclusive buyer agent in Scottsdale who understands this market and how it can be leveraged in the best interests of the Scottsdale luxury buyer.